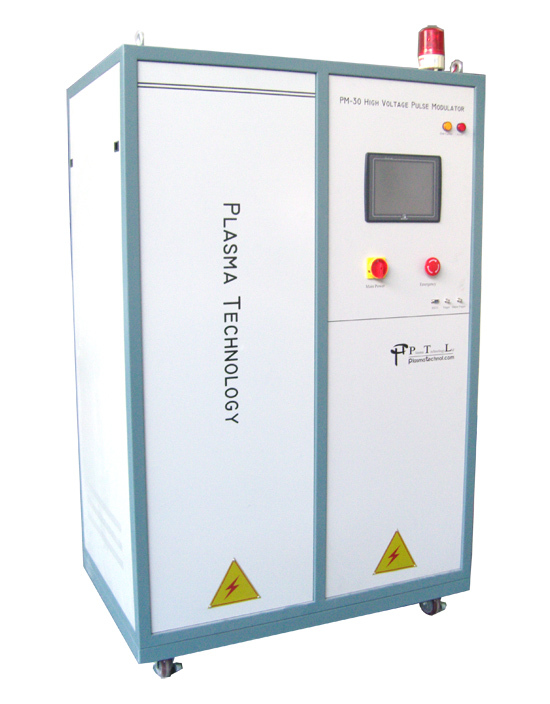 The pulse modulator is suitable for plasma immersion ion implantation, high energy ion mixing, elementary doping, thin film adhesion enhancement, surface stain-stress manipulation, high energy plasma nitriding, and so on. P. K. Chu, S. Qin, C. Chan, N. W. Cheung, and L. A. Larson, "Plasma Immersion Ion Implantation - A Fledgling Technique for Semiconductor Processing", Materials Science & Engineering: Reports, vol. R17, no. 6 - 7, pp. 207 -280 (1996). P. K. Chu, B. Y. Tang, Y. C. Cheng, and P. K. Ko, "Principles and Characteristics of a New Generation Plasma Immersion Ion Implanter", Review of Scientific Instruments, vol. 68, no. 4, pp. 1866 - 1874 (1997). X. B. Tian, B. Y. Tang, and P. K. Chu, "Accurate Determination of Pulsed Current Waveform in Plasma Immersion Ion Implantation Processes", Journal of Applied Physics, vol. 86, no. 7, pp. 3567 - 3570 (1999). X. B. Tian, T. Zhang, Z. M. Zeng, B. Y. Tang, and P. K. Chu, "Dynamic Mixing Deposition / Implantation in a Plasma Immersion Configuration", Journal of Vacuum Science & Technology A, vol. 17, no, 6, pp. 3255 - 3259 (1999). X. B. Tian, L. P. Wang, D. T. K. Kwok, B. Y. Tang, and P. K. Chu, "Capacitance of High-Voltage Coaxial Cable in Plasma Immersion Ion Implantation", Journal of Materials Science & Technology, vol. 17, no. 1, pp. 41 - 42 (2001). X. B. Tian and P. K. Chu, "Experimental Investigation of the Electrical Characteristics and Initiation Dynamics of Pulsed High-Voltage Glow Discharge", Journal of Physics D: Applied Physics, vol. 34, no. 3, pp. 354 - 359 (2001). R. K. Y. Fu, X. B. Tian, and P. K. Chu, "Enhancement of Implantation Energy using a Conducting Grid in Plasma Immersion Ion Implantation of Dielectric / Polymeric Materials", Review of Scientific Instruments, vol. 74, no. 8, pp. 3697 - 3700 (2003). R. K. Y. Fu, P. K. Chu, and X. B. Tian, "Influence of Thickness and Dielectric Properties on Implantation Efficacy in Plasma Immersion Ion Implantation of Insulators", Journal of Applied Physics, vol. 95, no. 7, pp. 3319 � 3323 (2004). R. K. Y. Fu, Y. F. Mei, G. J. Wan, G. G. Siu, P. K. Chu, Y. X. Huang, X. B. Tian, S. Q. Yang, and J. Y. Chen, "Surface Composition and Surface Energy of Teflon Treated by Metal Plasma Immersion Ion Implantation", Surface Science, vol. 573, no. 3, pp. 426 - 432 (2004). C. Z. Gong, X. 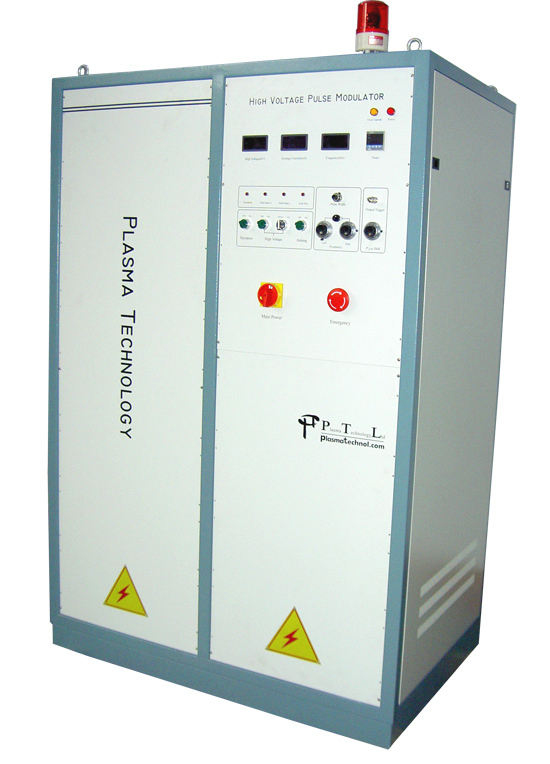 B. Tian, S. Q. Yang, R. K. Y. Fu, and P. K. Chu, "Direct Coupling of Pulsed Radio Frequency and Pulsed High Power in Novel Pulsed Power System for Plasma Immersion Ion Implantation", Review of Scientific Instruments, vol. 79, no. 4, pp. 043501-1 � 043501-5 (2008). Z. T. Zhu, C. Z. Gong, Z. J. Wang, X. B. Tian, Y. Li, S. Q. Yang, R. K. Y. Fu, and P. K. Chu, "A Specially Designed PLC Based High-Voltage Pulse Modulator for Plasma Immersion Ion Implantation", IEEE Transactions on Plasma Science, 2010.